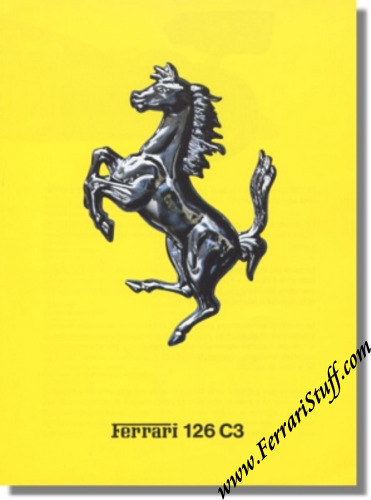 Ferrari factory original 1983 Ferrari 126 C3 Formula One Brochure. Approximately 7 x 9 inches, unfolds to 14 x 9 inches (2 panes). NO Ferrari Print Number but official factory issue and printed by ARBE, Modena, Italy.